Website loading speed is one of the contributing factor towards the bounce rate of a website. Bounce Rate is defined as: “the percentage of visitors to a who navigate away from the site after viewing only one page”. For example, if someone visits your side, and your website or images are loading slowly, and this visitor clicks on the “back” button on how browser, then this will be tracked as a Bounce in your analytics. The contents on the page that the visitor landed on is boring and dull. The contents on that page does not match with what the visitor is looking for. In this case, you might need to optimize the page to rank for the appropriate keywords on the Search Engines. 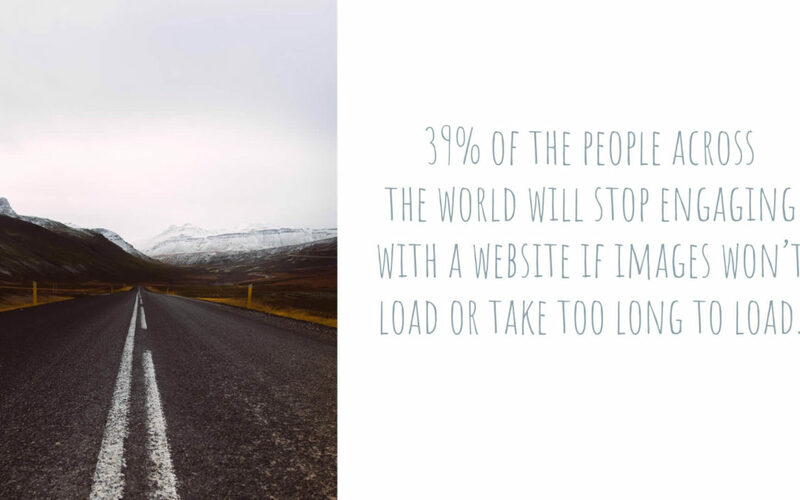 Or, your website could be loading very slowly. What are the major contributing factors for a slow loading website? Poorly designed theme or content management system (CMS) – although with the advances made in this field, this is seldom the case now. Inexperienced web designers will upload pictures exactly as they have received it from the clients without resizing it and then optimizing the size of the picture. For example, a full-width hero image will often have the dimensions of 1920px x 1200px (W x H). An experienced web designer will optimize the file size of that image to between 100 t0 300kb in size max. What would an inexperience web designer do? They will upload the full resolution picture at 4200px x 3250px (W x H) with a file size of 5.3MB. Is it an wonder why these websites are loading very slowly? This is one of the major factor for website loading speed. One note to make in this field is, you get what you pay for. A good and fast loading speed will cost you more. and if you pay for a cheap hosting service, your server will likely be slow as more users will be using it. Not all CMS or themes are created equally. But for this post, we will use Themes for WordPress as an example. There are thousands of WordPress themes out in the market, all the way from free to premium prices. Here in The Ultimate Webmaster Malaysia, we use the best of the best, namely Divi Theme from Elegant Themes. You can click on the banner below to check it out. The Divi Theme can be considered one of the most used paid WordPress theme in the world, and it is also one of the best, if not the best. Summary, choose a great theme, pay for it, as you get what you pay for. You may think you are saving money with a free theme, but the subsequent hacking and other issued that will crop up sooner or later is not worth the trouble. 2. Images that are not optimized. For this second factor, is actually one of the simplest factor that you as a website owner have full control over. Resize the dimensions of the picture according to the usage. For example, if you are uploading an image for a Blurb, you do not need a picture that is 1920px in width. a 500x to 800px (depending on the usage) width picture will more than likely do the trick. There is a perfect guide by Elegant Themes on picture size here. You can read more here. Guide to image size. Once you have resize the picture in your image editing software like Photoshop, you can save the picture at a moderate quality size. For example on Photoshop, if you save the picture a .jpg format, you can save the quality from a scale of 0 to 12, with 12 being the best quality. Often, saving the picture at 6 would still look great. After the picture has been has been properly resized, you can optimize the space one more time bu uploading it to TinyPng, and then download it back to your computer. Your image is ready for your website used now. One other automated solution to step 4 is to use an image resizing plugin such as Resize Image After Upload or any from the image resizing list here. What hosting services are you using? Are you using a cheap shared hosting services like Hostgator or something similar? If you are, that explains a lot why your website loading speed is slow. Shared hosting as the name implies, are used by many users, sharing the same resources of that server. So if you want a fact loading speed, you need to upgrade from using using a Shared Server to something better. For most website, a VPS – Virtual private server will work for most SME websites, even commercial ones where transactions are being done such as an E-Commerce Website. There are many VPS servers available on the market, from fix amount of resources to flexible plans where you can scale up or down at will. We highly recommend the VPS services from Cloudways. From USD10 to USD12 a month, you can get a decent server for your website which will improve your website loading speed significantly. And in the situation wonderful where your website is getting so much traffic because you have done great Search Engine Optimization, and your business is booming, then all you need to do is scale up the server specification and you are good to go. Its as easy as a few clicks of the mouse. Location of Server – You will also want the location of the server to be close to the market where your website will be serving. For example, if you are serving the Malaysian market, you would want a server located in Singapore or Malaysia, and not in the USA. If you need help optimizing your website, get in touch with us for a free assestment today.